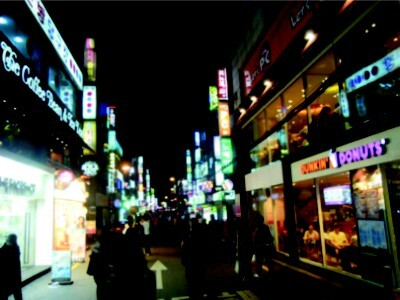 Food chains and designer clothing have played a major role in the 'globalising' of Asian cities. There is an increasing demand for making this world smaller; the buzz word 'globalisation' has become ever so popular. While I subscribe fully to the core idea of globalisation, I am tempted to further the discussion on the subject by referring to some of my personal observations. I remember having said in an UNESCO seminar of culture in Manila, a few years back, that globalisation does not necessarily mean imposition of the way of life or for that matter belief and practices of a technologically advanced country on poorer countries. It also means that the indigenous culture of the poorer or less advanced countries should also be globalised. I dare say I cannot bring myself to believe that any linguistic or racial group would automatically be attracted to an alien culture unless there is a desire driven effort to discover and understand it. Here, the endeavours of Ravi Shankar to globalise his music, starting with a scintillating recital at the Woodstock festival in the USA, a long while ago, could be a good example. His concert took the American youth, or a substantial section of it, by storm. The jhala, almost like a tempest, towards the end of his music worked as a kind of intoxicant. Those were the days of 'anger' and of 'peace' and of 'flower power' (or of days when peace could have been wrested through anger). However, the global appeal of Ravi Shankar simmered down soon. It only lived in the minds of a selected few Indian classical music enthusiasts within the US. He mentioned this himself on a number of occasions. 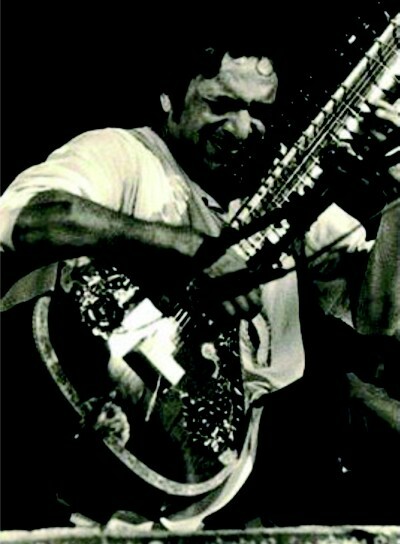 Ravi Shankar did not succeed because his was a one-person effort. And it was also a disjointed effort. In order for his music to be universalised it had to get uninterrupted support especially from the electronic media pervading the wide-wide world. Look at it from our end. We are being constantly bombarded by the electronic media and other commercial entertainers the culture that is not our own. The reason why many an unknown music, song or even lifestyle do not seem alien any more. Besides, it is cool to be west bound. The situation would continue to be so as long as the ownership of media did not proliferate with the entry of people belonging to diverse cultural backgrounds. The question against the backdrop of such a scenario is whether this uneven situation is going to go against the cultural sensitivity of a substantially large section of the world population. The encouraging insight of the subject is that what we are worried about is being already noticed by the media power that be. I remember having read in a leading local daily at Springfield, Massachusetts a front-page commentary on globalisation. The scribe of the article started with a question. He asked, whether what was known as globalisation was actually Americanisation? In the light of the fact that today's USA is, for all practical purposes, the policeman of the world what is happening in the name of globalisation is spreading of activities driven by US interest. But, as I have already pointed out, this phenomenon is getting noticed. And the advanced west is also becoming aware of the fact that they have to watch their steps, may be much less in the field of culture than the others, but the awareness is there. I started this piece with my observation on the world culture being globalised. But the onslaught of globalisation as cunningly promoted by the high and mighty amongst the nations is having a field day much beyond culture and is now clearly visible in all aspects of our lives. This is what worries me even more. When commerce or, more importantly, material interests pervade socio-political philosophy, it brings with it an ill omen. For us, the inhabitants of this sub-continent, it is difficult to forget how in the 18th century expansionist design had got its root fortified in the name of innocuous trading activities. That was, as far as we are concerned, the beginning of megalomaniac colonial venture. When there is a powerful world, armed to the teeth, being led by ambitious people, the sweet sounding word 'globalisation' may veer towards a very dangerous bid to colonise. These masters of the trade who can be counted on fingertips first create their regional lackeys and then try to spread their claws on the weak and poor neighbours. This sign today is clear and ominous. Whenever I hear, therefore, the word globalisation, I shudder to think what our posterity may have to pay for allowing such an expansionist design. In this scenario, we have to take charge ourselves. We should first be sensitive to our own positions and our own culture much of which, I confess, we have managed to decimate by being utterly callous and by being overly ambitious. We should stop aping the west and their cohorts. We should imbibe the spirit of taking a fresh look at our culture, which has stood the test of thousands of years, amongst our posterity. We should of course let fresh wind of the world culture blow through our doors and windows but should also make sure that our culture gets equal attention the world over. I think one way to start it would be to present to the world whatever is good, rooted to our land has withstood all onslaughts. If they were of no consequence they would have been obliterated by the unkind onward march of time and dynamic process of life itself. This also is true of politics, societal norms, education and lifestyle. It is only the resoluteness of a nation that ensures a respectable place for itself in this strife-torn world.